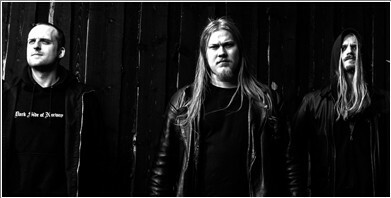 Formed in Oslo, Norway in 2008 by guitarist Saether (SVARTTJERN, BLOODSPAWN) and vocalist Holter (ex-SVARTTJERN), REPULSIVE AGGRESSION‘s lineup was later completed with the addition of drummer Nødset (FRAIL GROUNDS). A three-track demo was recorded, leading to the band getting picked up by Schwarzdorn Production in 2011. 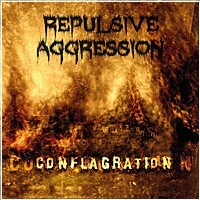 After the debut CD “Conflagration” in 2013, the band continued their co-operation with Schwarzdorn Production. They entered the studio again in 2014 to record their second full length album, "Preachers of Death“. 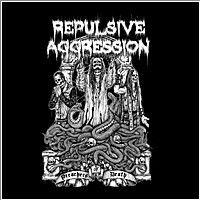 Whilst playing Death Metal with a strong Thrash influence, the extensive experience gained by its members in the Norwegian Black Metal scene can be felt throughout REPULSIVE AGGRESSION’s music, giving the band a distinctive edge both in its sound and in its overall vision. 2015 CD "Preachers of Death"